Well I figure its about time I make a post about this stupid game. And by stupid I mean the game is awesome. The reason I say stupid is because its really hurting my painting time. 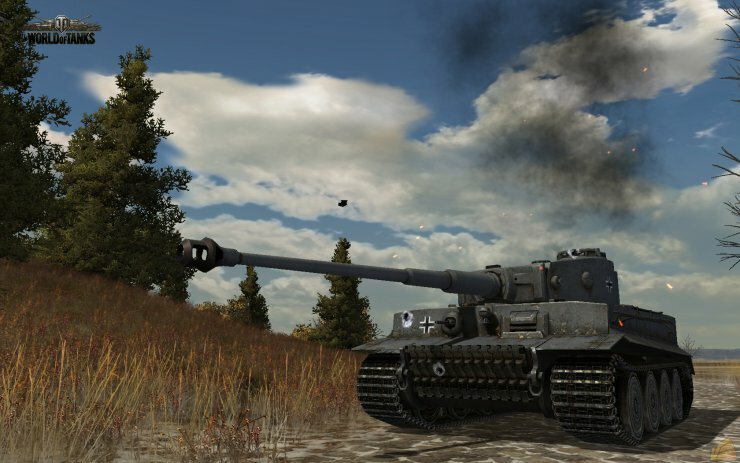 The cool thing about this game is that you don't just get in a tank and go...well you do...but you start in not much more then a tractor with a machine gun. As you play you earn experience and money. Each tank has a tech tree. You use experience to improve everything on your tank. Once you have the tech you spend your money to upgrade something on your tank. Eventually you will gain enough experience to purchase the next tank on a countries tech tree's. So, there are sort of 2 tech trees. Each country has one for all the tanks you can get. And then each tank has one for all its upgrades. I recent addition to the game which is crazy cool, is Clan Wars. The game has clans like every other online game, but now clans can actually battle for territory. They have a map of Europe. Each clan can own territory and attack other territories. Victory is decide by in game clan battles. I'm already in a Clan with my fellow flames of war players and the WWPD guys. What i've discovered now is that you can do custom paint skins. The problem is no one else can see them, and if you make a paint scheme for a panther....all your panthers look the same. What they need to figure out is what we used to do in Nascar. We could paint individual cars, and then you could download packages. But somehow individual skins were picked up. So all cars didn't look the same. Then you could do clan paint schemes and individual tank numbering. The game is always in development and still growing so we shall see what happens. They even keep individual stats on every player in every tank you've played in....crazy. Give it a try, you won't regret it. Its FREE! But be warned...My painting has really suffered.